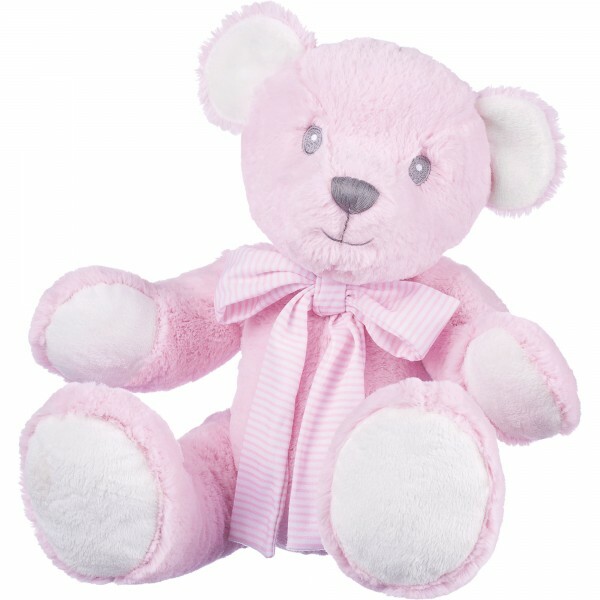 A gorgeous large super soft traditional teddy bear with white inner ears and pads. She has a lovely smile and wears a pink and white striped cotton bow. Perfect for cuddles! Suitable from birth upwards. Hand wash only, air dry only.